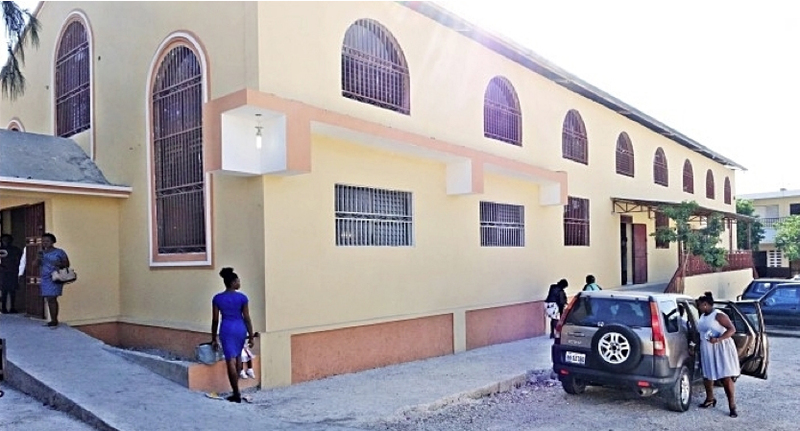 AFCA Village in Port au Prince, Haiti, was the vision of Lydie Noel, wife of Partners founder, Dr. Jean Claude Noel. Over a quarter of a century ago, Lydie had compassion on the homeless ladies and children on the streets of Port au Prince. With the help of Christian friends in the United States and elsewhere a ten-acre parcel of empty land on the outskirts of Port au Prince was purchased. Initially the ministry provided housing, training and employment for the women, and offered education for their children. Over the years the work has grown, along with the surrounding community it serves. Many short-term teams and individuals have contributed their labors and financial support. Today the ministry is comprised of a 200 member church, 300 student Christian school, clinic and several duplex housing units. Click on the PDF images below to enlarge. At the 20th Anniversary and Dedication of AFCA Baptist Church on October 21, 2018 pastor Renes' church members surprised him and Monique with an award and gift of thanks for their hard work. I want to announce you that PROMOVAL, an organization that I have founded to promote Christian and civic values in Haiti, will celebrate its 10th anniversary. During these ten years, PROMOVAL has organized many activities on behalf of youth, children and leaders. We have established some branches like "Tomorrow Leaders Club" and "Christian Entrepreneurship Center". Since 2012, hundreds of young men and women have participated in Tomorrow Leaders Club. Through the Entrepreneurship Center, since 2014 PROMOVAL has trained about 200 potential entrepreneurs. During the celebration, on October 7, 2017, PROMOVAL organized a Forum on youth entrepreneurship in churches. The Goal of this Forum is to motivate young Christians to be involved in entrepreneurship in order to reduce unemployment. The main topic is to "Promote youth entrepreneurship in Churches for new generation of Christian entrepreneurs." The Forum will be organized for 200 young people from different Churches in the west of Haiti. PROMOVAL will offer the young people a lot of opportunities, such as presentations that will help them to analyze and understand the local market, access to credit, mentoring and support services. The Forum aims not only to offer a learning space for youth, but also a space for debate and reflection regarding the employment and entrepreneurship in Haiti. The cost of this project is $28 US per person. But the participants cannot afford this amount. We ask them to pay $8. We are looking for sponsors to pay $20 for a number of participants. For example, a sponsor can support several participants with $20 each. Support for PROMOVAL can be made at anytime in order to maintain activities during the year. Would you please consider yourself as a sponsor. It is just a one-time gift. God has put in my heart a passion to work with youth in Haiti. Your prayer and involvement in this Project will be a great encouragement for me. Please send your support to Partners With Haiti for PROMOVAL. Rev. 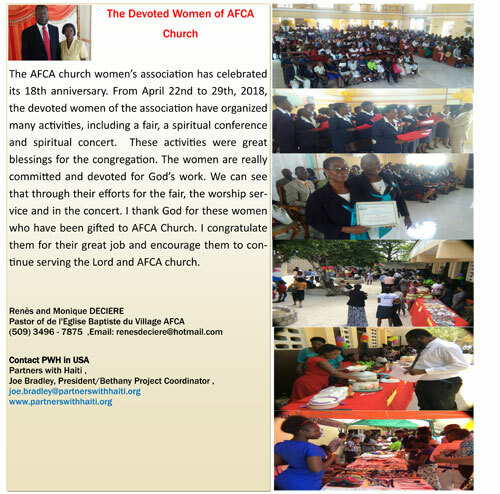 Renes Deciere has been lead pastor of the AFCA Baptist Church since its founding in 1998. Pastor Renes was born in 1965, and raised in Les Cayes, Haiti. He attended the National School, and then went to professional school to learn mechanics. His older brother shared Jesus with him, and in 1981 he accepted the Lord as his personal Savior. He was baptized in 1983 and in 1986 he moved to Port-au-Prince and finished high school. Renes began listening to Rev. Claude Noel, then pastor of the Nazon Evangelical Church, on the radio. Renes wanted to become a member of Claude Noel's church and in 1987 started attending it. Renes met his wife, Monique, at Nazon and they were married in 1991. They have a son, Billy. Monique has been on staff with Partners with Haiti since 1989. She directed the Bethany Project for 23 years and now is the coordinator of PWH Sister Church ministries in Haiti. In 2013, Pastor Renes received advanced training in Community Development from St. Francis Xavier University, Coady International Institute, Antigonish, New Brunswick. His passion is to disciple younger believers spiritually, and to enhance their professional and entrepreneurial skills. 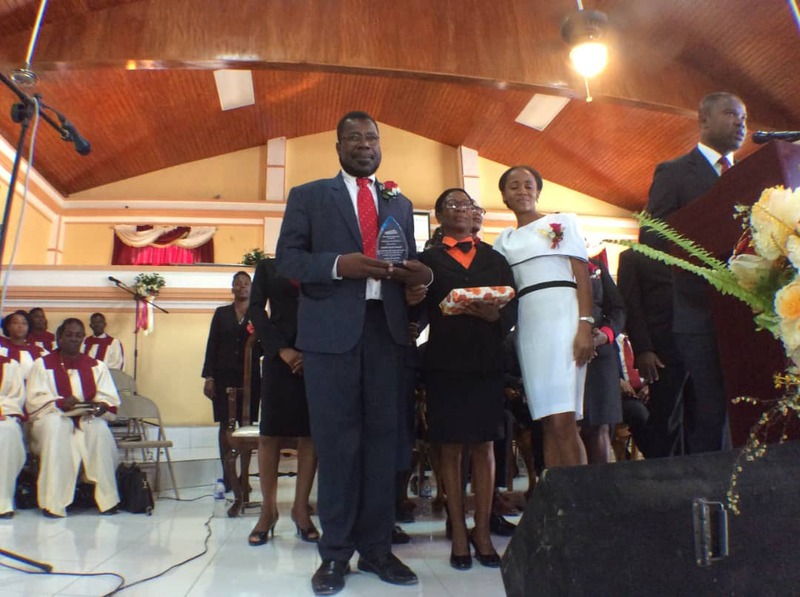 In January 2017, Pastor Renes was installed as the President of APCH, the association partner of PWH. In this role he superintends the ministries founded in Haiti by Dr. Claude Noel, and others. Monique Deciere, Pastor Renes' wife, is the director of APCH Sister Church Ministries.